On the off side that your iPhone is lost or stolen Apple has some useful tools in place to ensure that who so ever’s hands your phone has landed in does not get into your private data. With these tools in place your iPhone becomes virtually unusable to whoever had the bad luck of taking your phone. Using find My iPhone you can locate lost iPhones, disable them and in some cases even fully disable them. You may already know all this but unless you’ve ever had need for this tool, you probably don’t know how all this works. This is where we come in to help you with just that- what to do if your iPhone is lost or stolen? What is the information that thener- good doer has at their disposal and how Apple’s tools can help you? No one expects to go and lose their iPhone but on the small chance that you do, you don’t want anyone getting into your private data. So this is the first step in the eventuality that you lose your iPhone. To desist others from taking someone’s iPhone Apple came up with Activation Lock back with iOS 7. An iPhone basically becomes useless without a person’s Apple ID or password. This means that when anyone takes your phone, the phone will become useless as that iPhone will be tied in with your Apple ID and password. That person won’t be able to add any other account too. To turn on Activation Lock all you have to do is ensure that Find My iPhone is activated. Normally on setting up new devices, Find My iPhone is on by default which means that the Activation Lock is on as well. You can still make sure Activation Lock is turned on by following the steps. Go on to Settings and then the iCloud option over there. Press the Find My iPhone option. While on the same screen “Send Last Location” should be on as well. This part allows your iPhone to send it’s last location to Apple in cases when it’s stolen. Besides locking your iPhone to an Apple ID so that it becomes useless to anyone else, you can also do many other things with it as well. 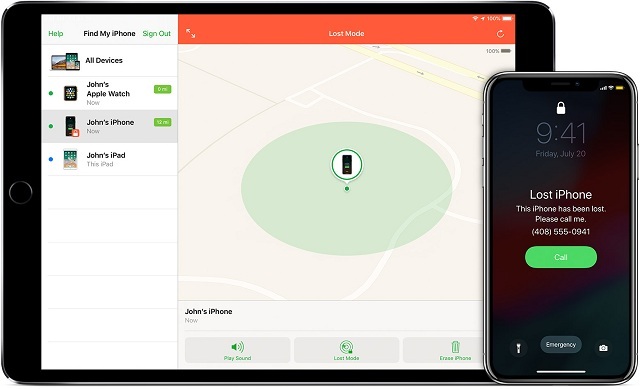 You can use Apple’s Find My iPhone to locate your iPhone when it’s lost, that you may already know, but besides this you can remotely delete all your data from your lost or stolen iPhone and also put your iPhone into “lock mode”. You can do all this remotely without being anywhere near your iPhone. Find My iPhone is undoubtedly a very good security tool but having other security options can be of help too. By having a passcode, no one can access your data stored on your iPhone and with a two factor authentication, your Apple ID will be safer from hacking attempts. This will be the first thing a thief may try to do as soon as they realize that they’ve got a locked phone. Two factor verification will require a code to be entered before you can enter your Apple ID or enter your iCloud account. What to do when you iPhone is Lost or Stolen? We’ve covered the dos before your iPhone gets stolen. Now what should you do when your iPhone is lost or stolen. The first step to do when you lose your iPhone is to log into Find my iPhone from your iCloud account. If your iPhone has power and is connected to a Wi-Fi or a cellular network then it’s precise location will be known to you. It will appear on a map. 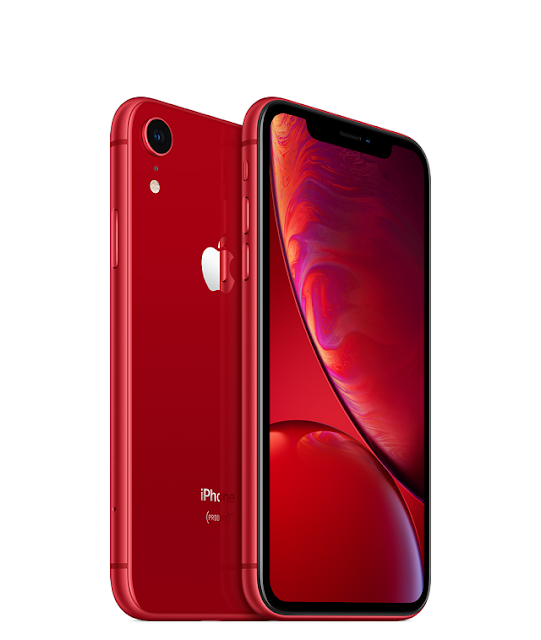 On the chance that your iPhone is out of juice or is not connected to Wi-Fi or a cellular network then its last known location will be sent to you. This information will be available for 24 hours and then only when connectivity is restored back to your iPhone. You can also use Find My iPhone to activate Lost Mode. This mode will lock down all functionality with the phone. Lost mode will only display a phone and a message on screen leaving everything inaccessible. This it does once activated. Lost mode works even if you don’t have a passcode system setup. Here’s how you can set up Lost Mode. Go on to Find My iPhone through iCloud. While there go to All Devices and locate your iPhone and tap on it. You will get options to play a sound, erase the phone or enable lost mode. If your stolen iPhone has not been set up with a passcode then you’ll be prompted to add a Passcode. After that you’ll be asked to enter a phone number that can be contacted or you can simply skip this step. On the next page you’ll be able to write a message that will be displayed on the screen offering a reward and other contact details. After that just press done and “Notify if Found” option. Now your iPhone can be used only with the passcode you just set or the passcode that was already there. When lost mode is activated, your iPhone will display the phone number and message you set. It can be used to call the number set when connected to a Wi-Fi network or cellular data. The phone can be used to call emergency numbers as well. If you’re worried about your debit cards and credit associated with Apple Pay then don’t be. With Lost Mode on, all those details and things will be disabled. With lost mode on the battery is set on low to extend its life and features on the iPhone are rendered useless. If you want to erase all the data on your iPhone, use it only as a last resort as once you do it Find My iPhone will no longer work. Lost your passcode and can’t seem to remember it? Well there are ways in which you can get into a locked iPhone without the need of a passcode. This may surprise but there are ways in which in you can get into a locked iPhone. There are various techniques that come in handy when you want back in into your iPhone. Some use Siri while others use iTunes. But enough of all that and let’s get into the ways to get into a locked iPhone. This works for iOS devices from 8 to 10.1 but will still get the job done without the need for you to erase all of your phone’s data. This may be a loophole to getting into a locked iPhone but is an effective one though. You can start by asking Siri for the time by pressing the home button. Then you simply press the clock icon. Once you’re on the world clock interface app, press add another clock. Type anything on the search bar and select what you have typed. It will show you a few added options with the option to share as well, press on that. Choose the messaging app. This will bring you to the messages app. From there go on to new messages and type anything the “to” area and then press the return button on the keyboard. When your text is highlighted tap on the add option. This will open up the phone app where you can add more contacts. Press on the “create a phone contact” option. Once you’re on the contacts app, press on the “add a photo” button. This will then take you the gallery app where you have to choose a photo. After that, you just simply have to press your home button and you should be on the home screen on your iPhone. Mission getting into locked iPhone a success! There are chances that the above method might not work on your iPhone. A more reliable way of getting into a locked iPhone involves Dr. Fone. The first step involves downloading Dr. Fone onto the desktop. From there you’ll be prompted to attach your phone to the desktop. Once connected, the application will ask for you to update the phone’s firmware. Once the firmware has been updated you’ll be prompted to unlock your phone. You’ll get a warning message which you just have to confirm with the on screen code. The application will get into your phone without the need of a passcode. Getting into a locked iPhone in this way will erase all of your phone’s data. 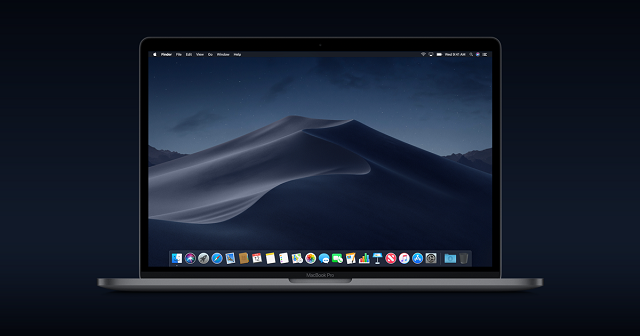 It involves opening up the iTunes application on the desktop and connecting your phone to the desktop. Once on the application press the Restore backup button. Then click on “restore”. This will reset your iPhone. You can even use this same method to get into a locked iPad. 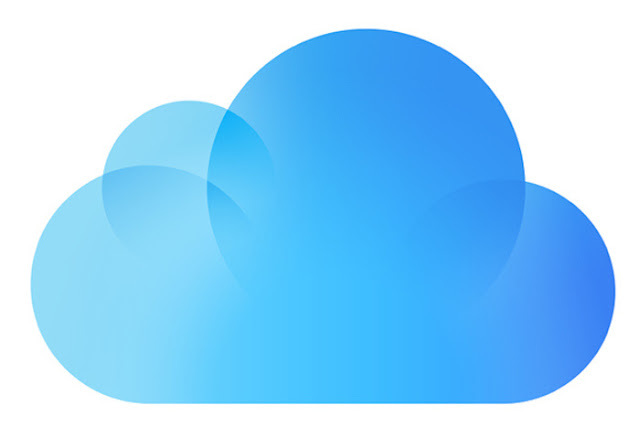 Do you want to use icloud when you are restoring from an ios backup and searching for topics related to " How to use icloud for continuity when restoring from IOS back up? Then don't worry you will get the precise information on how to use icloud for continuity when restoring from an IOS backup. People always want to use icloud even when they are migrating from one ios device to the another. Here icloud is a special thing which provides you with continuity. So, if you have already set up a target device and you have logged into the icloud with the same ID means you will not lose anything as the icloud is synced with the process. Here this only thing which you have to watch out carefully: is its information. The information which you have created in the ios device will not be stored in the icloud database. But, the data will be stored in the device itself. So, you have to make a note of that. In general, it depends on the app. So, you need to ensure that you have taken backup for the data. This includes photos you are not using Icloud photos -- This is formerly called as iCloud Photo Library. The photo library automatically syncs all your photos and multimedia through iCloud. It spreads across IOS Devices and Macs which are logged in with same APPLE ID and accounts. If this feature switched off means a target device which you have stored the image or video or captured image or video will not be imported into the icloud photos, in this case, all the new media photos would be deleted when you restore your data from another device. Let's have a look at the process of How to use iCloud for continuity when restoring from an iOS backup. Firstly go to the source IOS Device. Then perform a manual backup in the icloud. To do a manual icloud backup, you have to go to settings. Then go to account name ---- icloud. Click on icloud backup and tap on Backup now option. Now, check the destination device through the apps you use. Make sure any data associated with the device not synced with the account. Then go to app maker or icloud backup. Connect your USB device to mac just to use your iphoto, or image captures, or to download unique photos and videos. When your backup is completed on the source device all you have to do is use Apple's Instructions. With those instructions, you can restore the data from icloud backup. You can use apple notes. Finally, click on the source device and check when the last backup has occurred. After the process restore operation is successfully completed. Now, go to icloud account and download all the images and data which you need and which you have used it to sync. You can also get the information you want on the apps you have installed on the target device. You should need to download them in a different manner and logs into the icloud accounts usually it doesn't rely on the icloud for data storage. This is all about the How to use iCloud for continuity when restoring from an iOS backup.